"Statue of Liberty" colorway made by Mache. One of the most decorated basketball players of all-time, New York Liberty forward Swin Cash is calling it a career after 15 WNBA seasons. 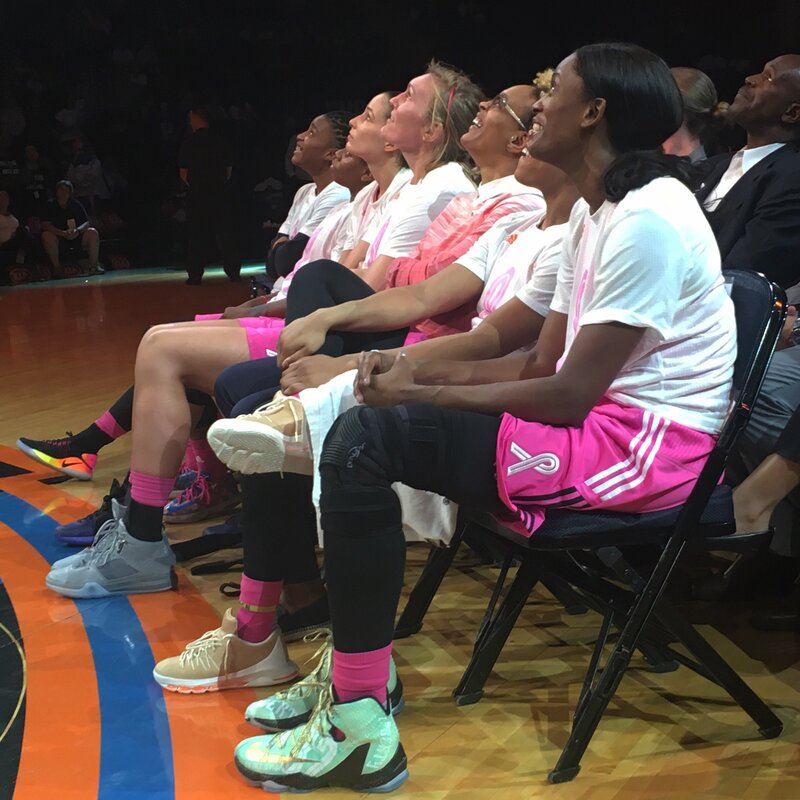 Tonight, the Liberty celebrated Swin Cash Night at the Garden, where she laced up a special pair of sneakers for the occasion. 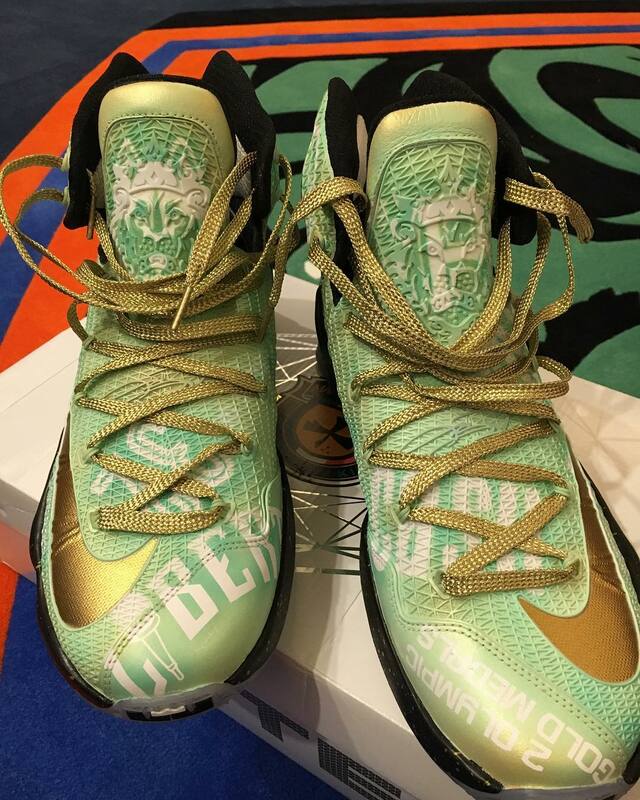 A tribute to New York City, Cash was given a pair of custom Nike LeBron 13 Elites by Mache. 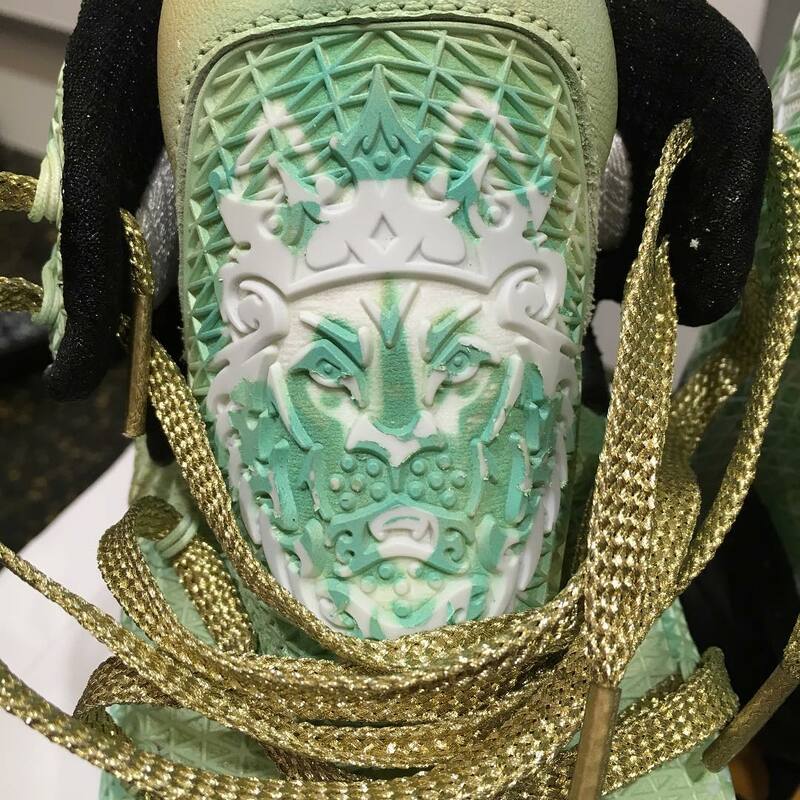 The shoes were treated to a teal "Statue of Liberty" theme bearing Cash's career statistics and achievements. Mache even added husky details to the lion logo on the tongue as a nod to Cash's time at Connecticut. A longtime wearer of Nike LeBrons, it's a fitting exit for the three-time champion.